In the early 2000s, a string of abductions rocked the small upstate town of Reine, New York. Only one girl survived: Alex Salerno. The killer, Ken Parsons, was sent away. Life returned to normal. No more girls would have to die. Until another one did. It's been seven years since Kira Shanks was reported missing and presumed dead. Alex Salerno has been living in New York City, piecemealing paychecks to earn a livable wage, trying to forget those three days locked underground and her affair with Sean Riley, the married detective who rescued her. When Noah Lee, hometown reporter with a journalistic pedigree, requests an interview, Alex returns to Reine and Riley, reopening old wounds. What begins as a Q&A for a newspaper article soon turns into an opportunity for money, closure and--justice. The disappearance of Kira Shanks has long been hung on Benny Brudzienski, a hulking man-child who is currently a brain-addled guest at the Galloway State Mental Hospital. But after Alex reconnects with ex-classmates and frenemies, doubts are cast on that guilt. Alex is drawn into a dangerous game of show and tell in an insular town where everyone has a secret to hide. And as more details emerge about the night Kira Shanks went missing, Alex discovers there are some willing to kill to protect the horrific truth. 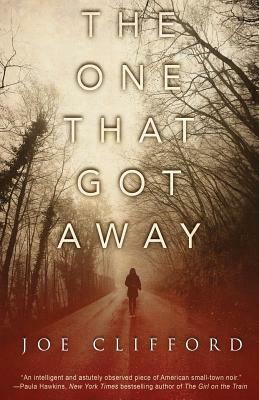 In the modern vein of Dark Places and Mystic River, The One That Got Away is a dark, psychological thriller featuring a compelling, conflicted heroine and a page-turning narrative that races toward its final, shocking conclusion.